It was the summer of 2004. I had joined a two year MBA course in Rajagiri School of Management. It was a great Business Management institution in Kerala. I had joined MBA after a one year gap after my Engineering. When I joined that college, for one whole month I was the only guy in my batch who had come from TamilNadu. During my first day in college, everyone of us were trying our level best to make a good impression. The boys were out to impress the girls. Anterson introduced himself as a rock singer. Joseph Pius Alapatt introduced himself as the royal heir of the Alapatt family. I introduced myself as a dancer and a guitarist. But this guy silenced us all with his introduction. He went to the stage and said "My name is Midhun Raj. I have done my bachelors degree from IIT Madras. 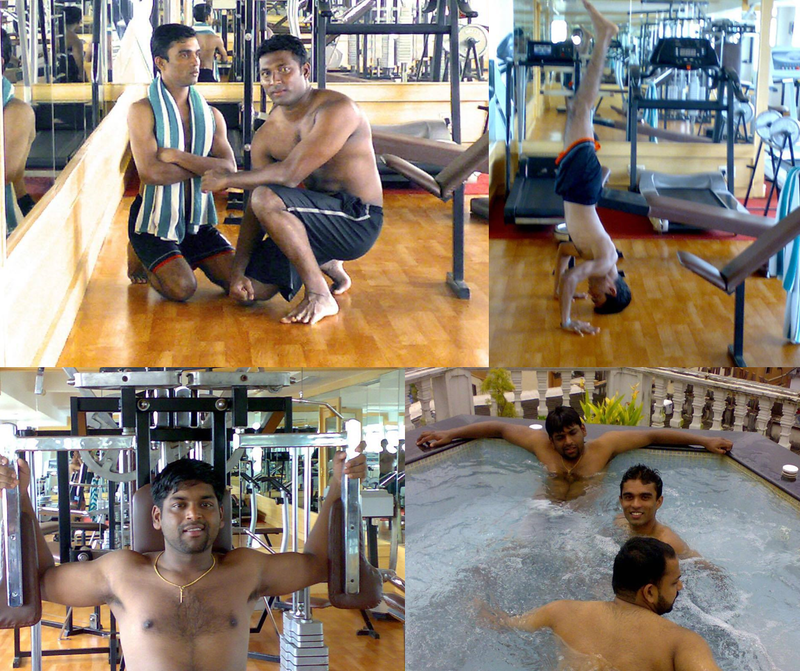 I am a Yoga practitioner and a body builder". That was it. He had all the girls swooning for him with that introduction. What else would girls want? Here was a guy who was an IIT product and had a great body. He was the ultimate answer to the brain and brawn question. To add salt to our injury, this guy had an amazing sense of humor too. The girls went gaga over him. In the first month of our MBA course, we were taken for a rural camp. IIT (that became his nick name and we even address him that way even now) became the physical instructor for us in that camp. He will make us do all sorts of exercises and the girls just followed his instructions like a crowd mesmerized by a magician. During the end of the first semester, we figured out that he was not an IIT product and that he had graduated from a local college near Chennai (Sriperumputhur I guess) and that was it. The boys were waiting for this opportunity and we all lunged on him and exposed this news to the girls. But still many girls still believed him. IIT was a great character. He will never ever get angry. You can cross all boundaries and limits and tease him. But he won't get angry at all. That is one character that everyone can learn from him. He encouraged all of us to hit the gym and lift weights. I have a bone laden body and hence I always avoided lifting weights. I would do all exercises that kept me fit. IIT and Anterson on the other hand would lift heavy weights. Joseph Pius would just swim around and share philosophical one liners. The following video symbolizes the friendship IIT and I share. During one of our bachelor parties, IIT as always flexes his muscles for the camera and I tried to do the one hand stand. But I lost my balance and ended up kicking his face. He should have got angry. But he did not. He just laughed and moved on. He must be still having the scar under his eye. One girl from our batch is still crazy about IIT. She has named her son Midhun.